Hello Earth! Thank you for Crater Lake. Photo by Julian Bialowas. Nature lovers, outdoor warriors, and novice campers alike will appreciate Hipcamp's discovery platform for awesome campsites around the United States. (California, Texas, and Florida are covered; they're tackling Washington next). Because we're celebrating nature in all its glory for Earth Day, we asked the kind folks there to round up some of their very favorite grounds for pitching tents and kicking back in the great outdoors. THE WEST, USA – There's no better place to experience nature in all its glory than on the West Coast. At Hipcamp, we simplify the process of discovering and booking campsites, and along the way we've come across a lot of awesome natural wonders that are too good not to share. As we gear up to launch in Washington state, we put together an accessible guide for first-time travelers and experienced expeditionists to experience the best of the West in all its glory. You don't need much more than Mother Nature to get the job done. Read our list, make your own, and get outside already. Take a look at Travertine Hot Springs. Photo courtesy of Hipcamp. Be prepared for a crowd of birthday suits. A five-tub conglomeration about an hour away from Yosemite National Park, the hot springs make an excellent and relaxing finale to a long weekend of adventuring in the park. Hot tip: The sulfuric mud at the bottom of the pools is great for the skin. The Bagby Hot Springs are a one-of-a-kind hot-tubbing oasis deep in Mt. Hood National Forest. Naturalists, flower children, and people looking to explore their wild side are all welcome for a soak at the clothing optional, 24-hour paradise. 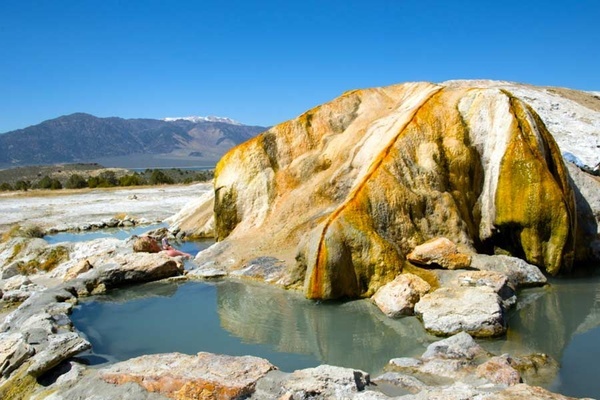 A hike to the Olympic Hot Springs is a 2.5-mile trek from the trailhead during warmer months and can be upwards of 6.5 miles during the winter — but what's a few extra miles when your destination is a hot-'n'-steamy place to kick back and soak? An oasis in Olympic National Park, it's not one but rather five pools. Take a warm dip while contemplating the meaning of life. Hitting the slopes in Oregon. Photo courtesy of Hipcamp. Hit up the Sand Master Park in Florence, Oregon, and rent a sandboard for a nominal fee. Then visit nearby Jessie M. Honeyman Campground in Florence to shred some serious sand. 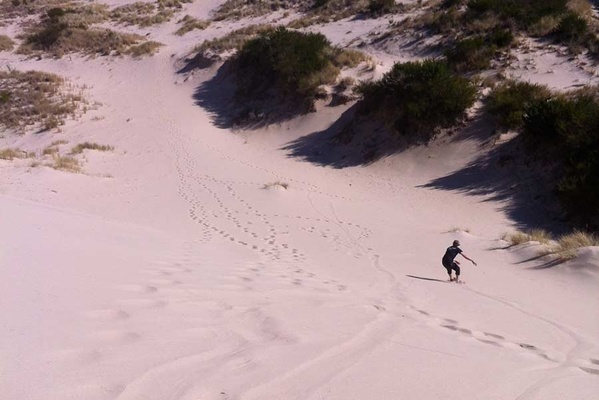 Places to camp for the night along the Oregon Dunes National Recreation Area stretch a wide 40 miles. Through the looking glass at Mirror Lake. Photo courtesy of Hipcamp. 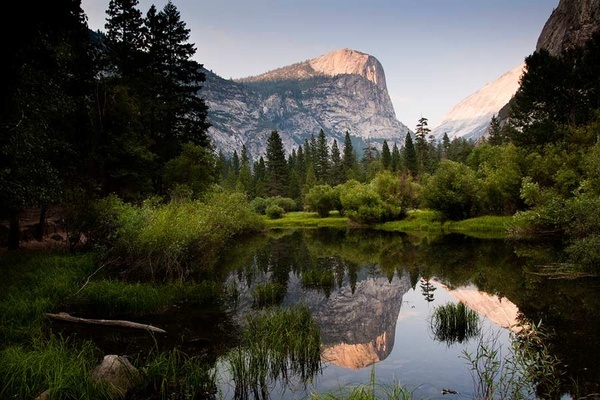 Situated directly between North Dome and Half Dome in Yosemite National Park, Mirror Lake is the last remaining evidence of a large glacial lake that once filled most of Yosemite Valley at the end of the Ice Age. It's close to disappearing due to increasing sediment. For off-the-charts epic points, string up a hammock as you take in the sights of Yosemite's mirrored giants. Backcountry and blackjack, bears and boating, skiing in the Sierras. Lake Tahoe in the Tahoe National Forest is a large freshwater lake in the Sierra Nevadas and a playground for adventurers of all types. You can even go on a brewery adventure to Tahoe Mountain Brewing Co.
Oregon's only national park offers hikes from snowy heights to lakeside rims, cruises around Wizard Island, swimming in water as blue as Brad Pitt's eyes, and the opportunity to backpack 33 miles of the Pacific Crest Trail. 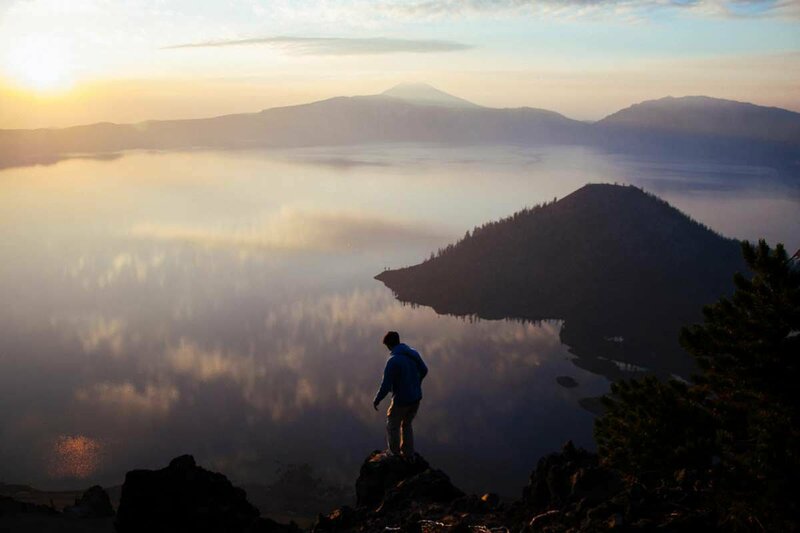 No matter your reason, Crater Lake is an unmissable earthly anomaly in southern Oregon's Cascade Mountain range and inspires visitors with starry skies, diverse wildlife, unforgettable landscapes, and the strong sense of being small in the midst of something grand. The mighty Sequoias. Photo by Julian Bialowas. 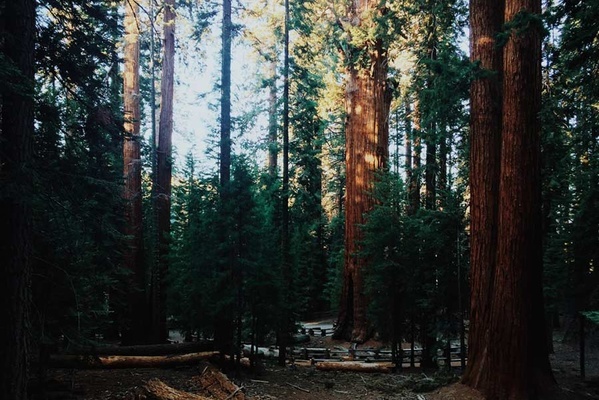 The General Sherman Tree is the largest tree in the world! Mic drop. Come here for a good old dose of history. Don't forget to pick up a rad patch at the Giant Forest Museum. The terrain is otherworldly, with bulbous Joshua trees and massive boulders that look like cameos from a Dr. Seuss story. The rock climbing here is legendary (and notoriously rough on the hands and gear), as is the night sky, which is dark and clear enough to catch a glimpse of the Milky Way. Check out Howling at the Moon: A Joshua Tree Camping Experience on the Hipcamp Journal for an overview of a day in the park with these wacky trees. You may need a group to hug a redwood tree. The largest one in Calaveras Big Trees State Park is the Louis Agassiz, located in the South Grove. Are you ready for this? The tree is 250 feet tall and more than 25 feet in diameter. Get ready to give your friends a serious case of forest FOMO. Julie is the Content Manager at Hipcamp. She lives in San Francisco and is passionate about community building and bloody Marys. Follow her adventures @jollymurrell on Instagram. She travels to find places that put her out of her comfort zone.